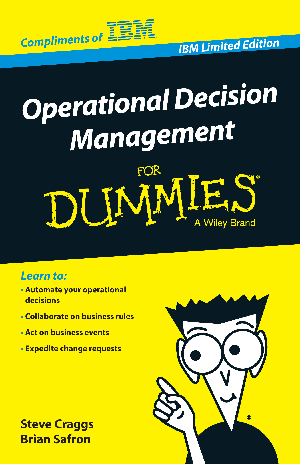 Operational Decision Management (ODM) is the evolution of business rules management. It provides a complete, easy-to-use system for automating day-to-day operational decisions that allows business people and IT to collaborate on business rules. ODM not only allows you to automate your business rules. It enables you to detect real-time business events (such as a person making a credit card charge) and use rules to automate the appropriate response to those events.